As of today’s fast paced life, most of us are lifestyle is on to go, specially executives who hop from one meeting to another, an travel lovers or a simple person who keep tabs on what’s going on in the world. Their devices, specially their laptops, tablets and smartphones, need to continuously operated, so there is a dire need for mobile power. The demand gave birth to mobile power banks which is a very popular today. But like most of devices, not all of the power banks are created equal. Some provide the bare minimum of what is needed and some go the extra mile to give us the keep on going. As of today, a lot powerbanks in the market but some of them are not reliable, we invest a lot of money to have a good quality powerbanks to partner our gadgets. We all know how much we love our devices and I think our gadget should a reliable one. At the recent APC Mobile Power Pack launch at Power Mac Center in SM Aura Taguig City, APC by Schneider Electric presented how important continuous connectivity is to executive is to executives and other online enthusiast whose mobile lifestyle need to be always on. APC by Schneider Electric, in partnership with the Power Mac Center, showcased its promotion that entitles anyone to a Php 500 discount when they buy APC MB10k Power Pack with 10,000mAh external Battery. “All Mac executives and all Mac lovers will definitely need to stay connected with the powerful features and apps on all Apple devices. 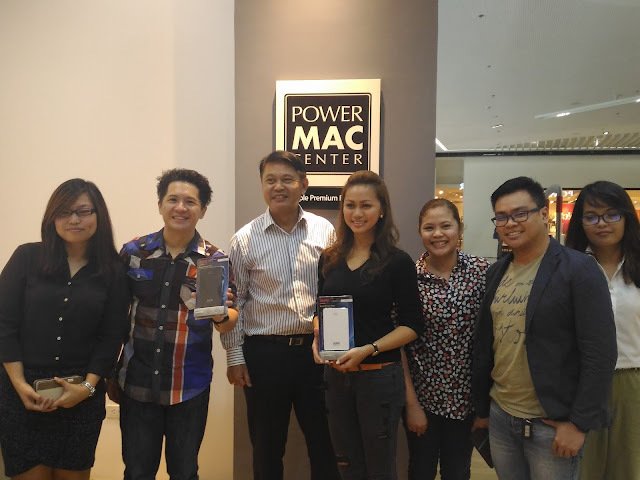 With the APC by Schneider Mobile Power Pack, Mac users can ensure that their gadgets are powered and connected anytime” – Doy Santos, Schneider Electric’s Managing Dir. For IT business. Blogger power-couple Chuckie Dreyfus and Yen Dreyfus were also present at the event. 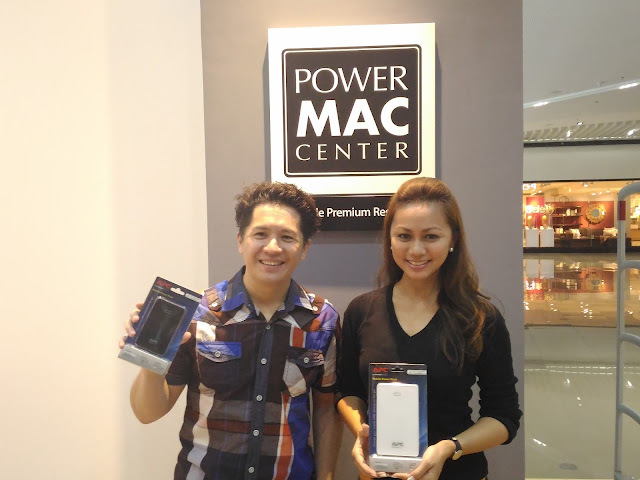 Yen attested to the versatility and of the MB10K’s dual output, it enables me to charge 2 gadgets at the time” – Yen Dreyfus. “It’s perfect for on-to-go mom’s like me. It doesn’t hurt that it’s sleek and handsome too” Yen added. As a tech blogger, Chuckie appreciated how the APC Mobile Power Pack makes him worry less about running out of juice. “The mobile lifestyle leaves very little time for us to search for and tether to wall socket,” –Chuckie said. “ So we need reliable mobile power to ensure that life is always on” – Chuckie added. 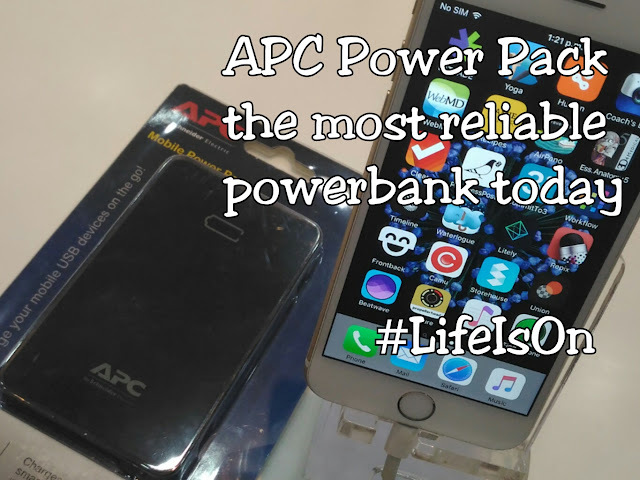 The APC MB10K Power Pack also boasts of a durable and reliable lithium polymer battery and an auto on/off feature that guarantees efficient charging. This means that no energy is wasted because its automatically cuts power when divices connected to it are fully charged. Nice Blog! After reading your blog I came to know how APC Powerbanks is effective. 10000 mAH Powerbank can easily charge my mobile phones 3 times. Keep updating and also shared your solar powerbank options.